Zebra Wristbands allow you to print patient information and barcodes directly on the wristbands - no need for labels and time-consuming wristband assembly. Zebra Wristbands are determined MR-Safe by an independent MRI testing company and feature a silver antimicrobial coating that protects the wristband. They are scannable for up to 14 days in most cases, promoting quality patient care and safety. 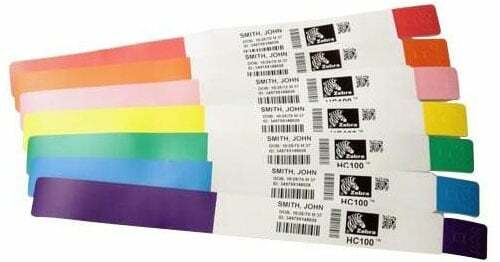 As with all Zebra consumables, they are fast: Quick to print and quick to fasten using an adhesive tab or color clip. The Zebra 10012713-4K is also known as ZEB-100127134K-CASE	or 100127134K	.